Chelsea Flea Market vet Mauren León opened vintage boutique Dulcinée in 2005. The store, somewhat hidden away on Stanton Street between Essex and Norfolk Streets on the LES, has since become a resource for vintage hounds who appreciate Mauren's selection of classic knee-high leather boots, floaty dresses (many designer) and beautiful handbags. But fans should know that their Dulcinée shopping days are numbered. 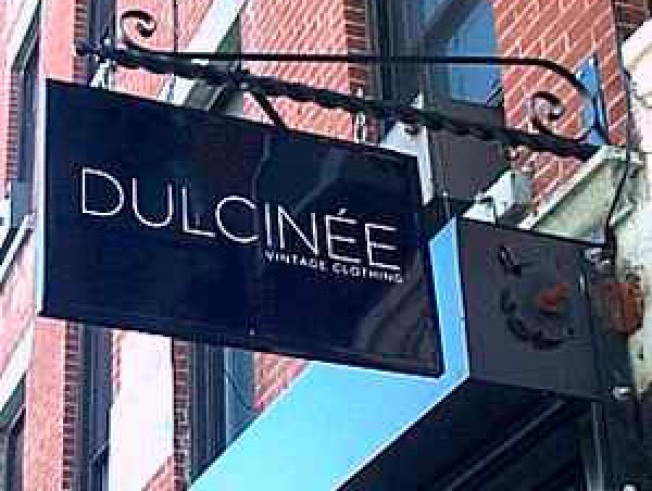 Over the weekend, Mauren sent out an email stating that "on November 13, Dulcinée will close its shop at 127 Stanton Street after three memorable years and begin operating as an online store and private showroom." The store is currently hosting a final sale; stop by through next Thursday to browse, or just to say goodbye.